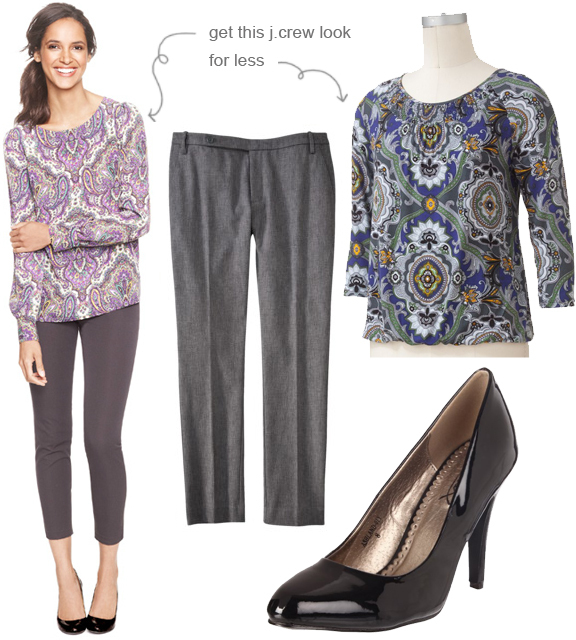 I have those grey Target pants, and in cobalt blue from their summer collection, and they are perfect! Price, fit, everything... I totally recommend them and want to own them in every color. I have heard a lot of good things about those Target pants. I need to go try them on! i love those grey pants. I would love to see you style those ones you bought at H&M. I have them too and the only thing i ever wear with them is my chambray shirt. would love to take patterned pants up a notch! Harley, I confess I usually only wear my H&M pants with a chambray button up or colored v-neck tee. They are so fabulous, I don't know how to mix it up either! Paisley is not my thing, but the pants! Oh the pants. I love all things that a particularly studious and stylish librarian would wear. Nerdy to the core over here.